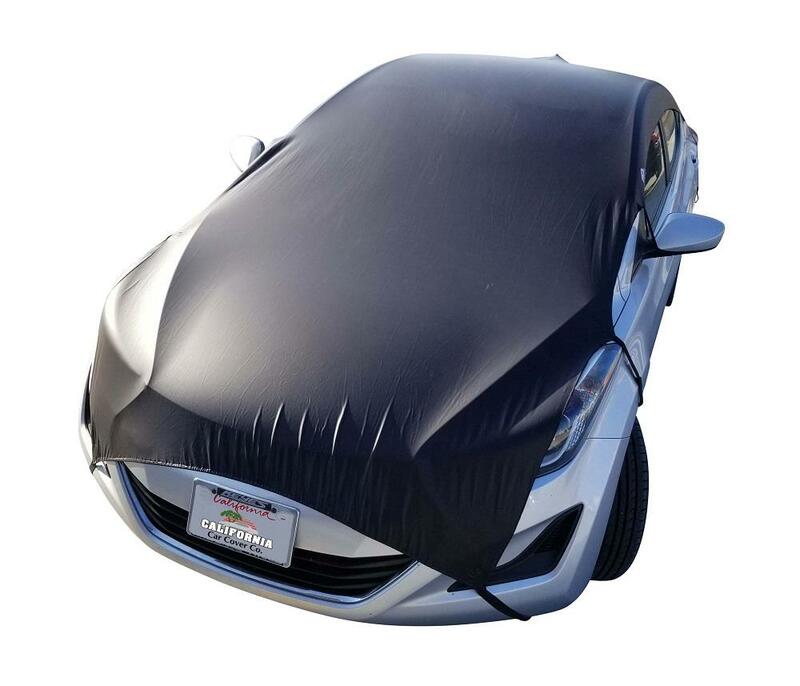 Karport KoolSkinz Partial Top Car Covers - Free Shipping over $99 at California Car Cover Co.
Karport KoolSkinz Covers are easy to use, so in under a minute you can have your cover installed and your car protected from bird droppings, dirt, dust, and UV damage. 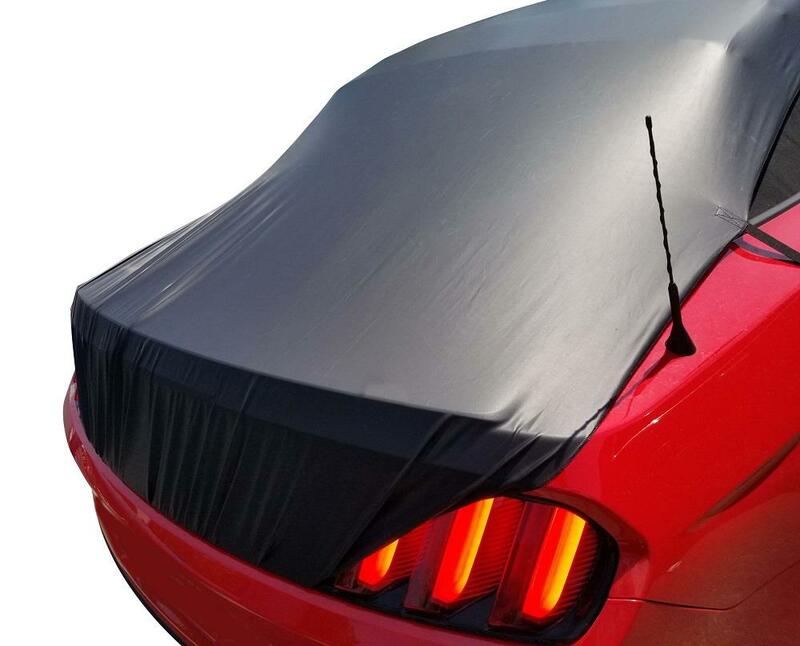 Each KoolSkinz cover is made with a strong, lightweight stretchable fabric that takes on the form of the car making it wind resistant. The material is soft to the touch, and will not scratch your vehicle’s delicate surface. 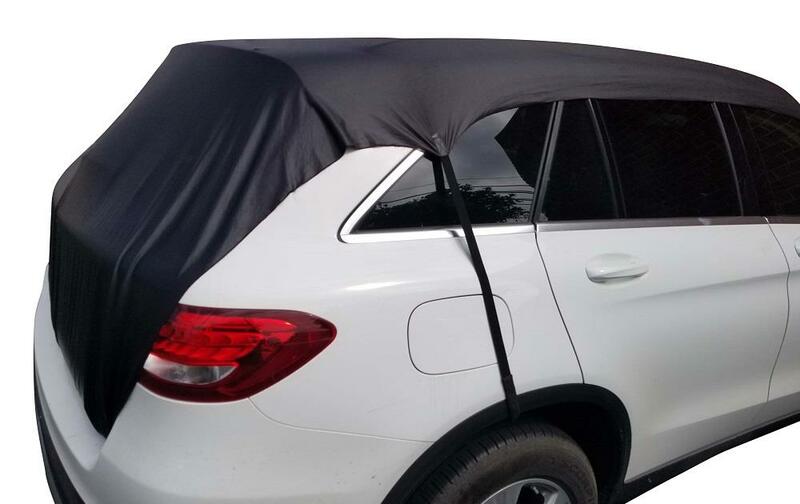 The Karport KoolSkinz cover is held in place and to the trunk with a Velcro® strap, which gives it an anchor and provides a theft deterrent when the cover is on. Soft elastic straps hold cover in place in the rear wheel wells and around the front bumper. Easy to clean, wash on cold cycle with a small amount of detergent, dry on low heat for 10 minutes. 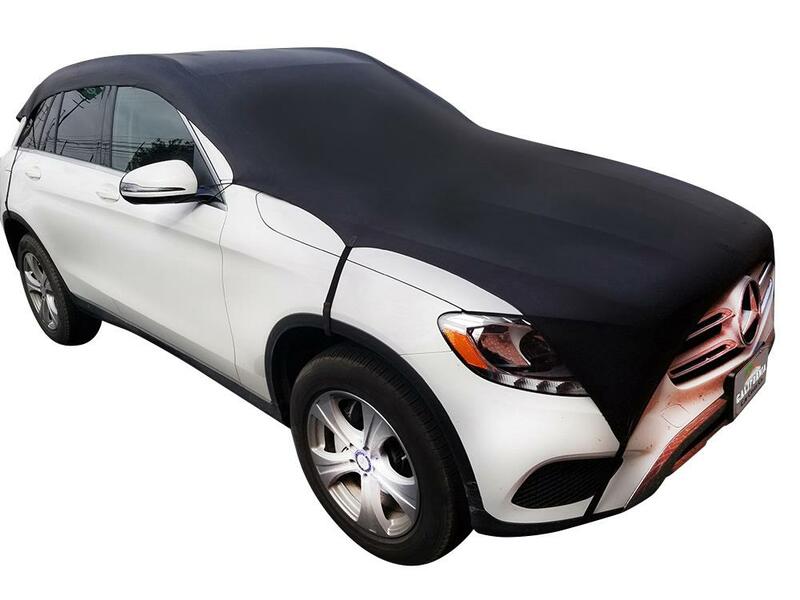 The fabric is a very soft / thin 4-way stretch vinyl on the topside and a soft poly fabric on the side that touches the car. The straps are a soft elastic with soft adjustable hooks that hook into the rear wheel wells. The hooks are made of soft webbing fabric with metal inserts. There is an elastic strap that attaches around the front bumper and front wheel wells. The rear of the cover attaches to the carpet in the trunk using Velcro. Backed with a 1 year warranty. Made in the USA. All covers are machine washable. Wash on cold with very little detergent, dry on low heat for 10 min. 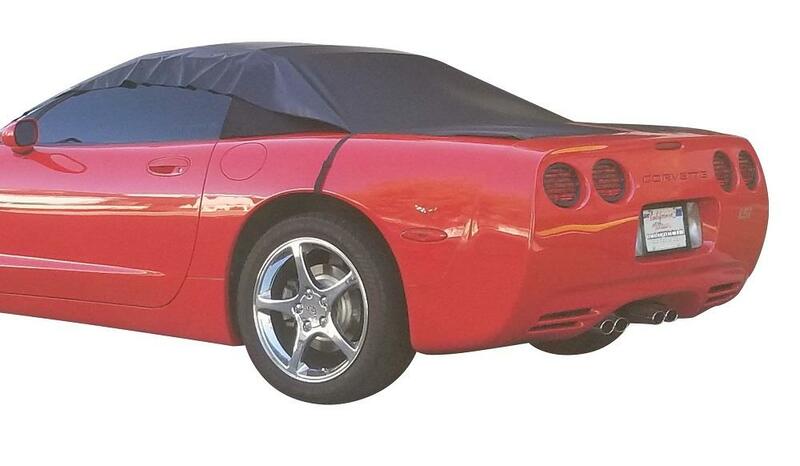 The Karport KoolSkinz Car Covers were elegantly designed yet functional. The covers were created with you in mind. 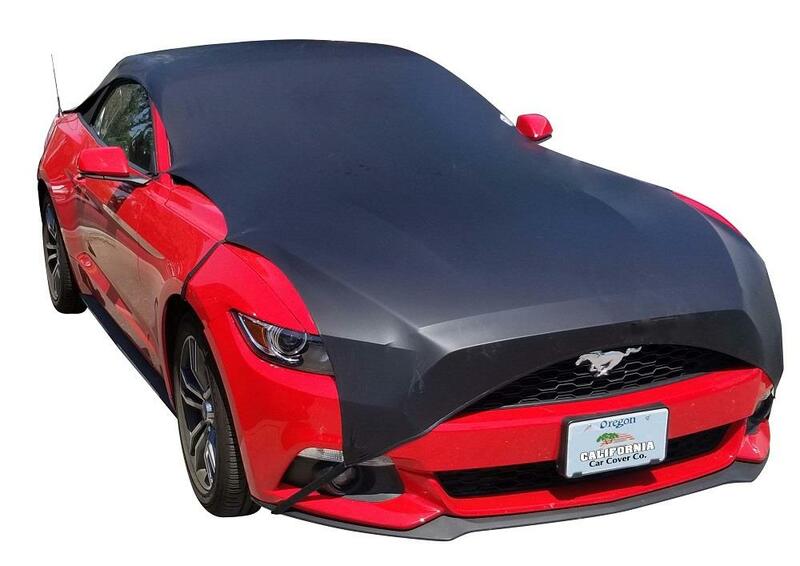 Each cover is designed to protect your most valuable asset, your transportation, while looking good. 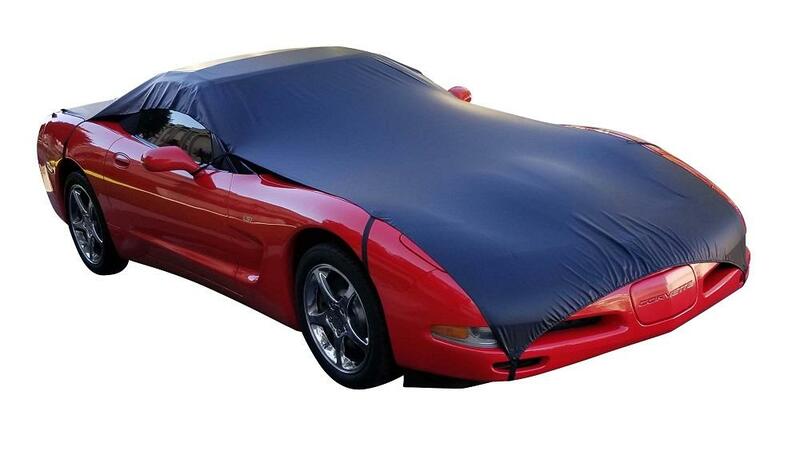 Get access to your car with the cover on and sit in the shade. You will be the envy of your co-workers when you are seen having your lunch time break in the shade, while others have the windows up and air condition on and using precious fuel. Keep your car, truck or SUV from baking in the sun and causing damage to the paint, interior, dashboard and steering wheel. Now you can get back in your car with comfort while grabbing a cool wheel and sitting in a cool seat. Oxidation is defined as the interaction between oxygen molecules and all the different substances they may contact, from metal to living tissue. Technically, however, with the discovery of electrons, oxidation came to be more precisely defined as the loss of at least one electron when two or more substances interact. Oxidation can be a problem for car owners, since the outermost layers of paint are constantly exposed to air and water. If the car's outer finish is not protected the oxygen molecules in the air will eventually start interacting with the paint. As the oxygen burns up the free radicals contained in the paint, the finish becomes duller and duller. Restoration efforts may include removing several layers of affected paint and reapplying a new layer of protection. Kar-Port® products are guaranteed against faulty materials and workmanship for a period of 1 year from the date of purchase. Exclusions to this warranty are wear through due to severe abrasive conditions, chemical contamination, such as spilled gasoline, bleach, etc. Kar-Port is a reasonable & fair company and they believe in customer satisfaction. Depending on the situation, Kar-Port will either replace your product at no charge or charge you a prorated amount for a replacement.